Portrush is enjoying new sense of vibrancy and opportunity as a major public realm scheme to transform the town nears completion. The public realm investment, which is part of a £17m regeneration programme funded by Department for Communities (DfC), includes a range of measures which will enhance the resort’s appeal for visitors and residents alike. The significant programme includes new granite paving, lighting columns and embellished railings along with contemporary benches and picnic tables. The emerging high quality streetscape will be complemented in the coming weeks by an extensive programme of road resurfacing which will transform the physical appearance of the town. 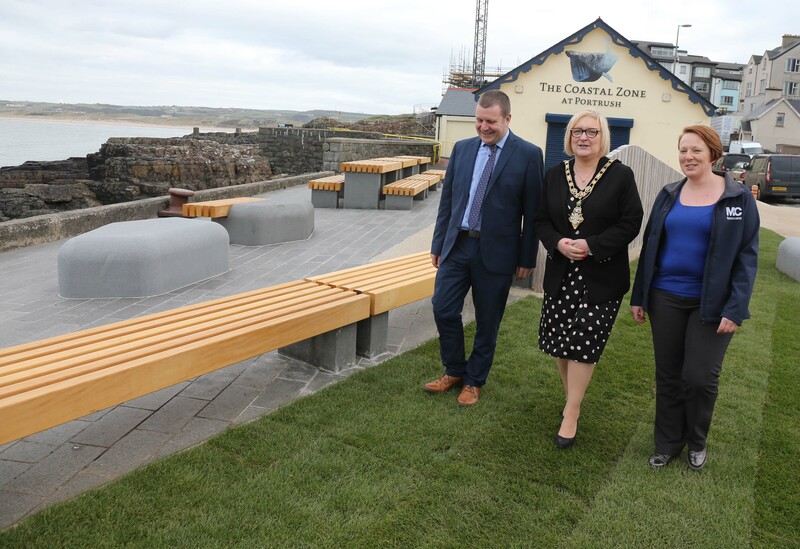 The Mayor of Causeway Coast and Glens Borough Council Councillor Brenda Chivers said: “The scheme has delivered a series of positive changes which signify an exciting new era of opportunity. 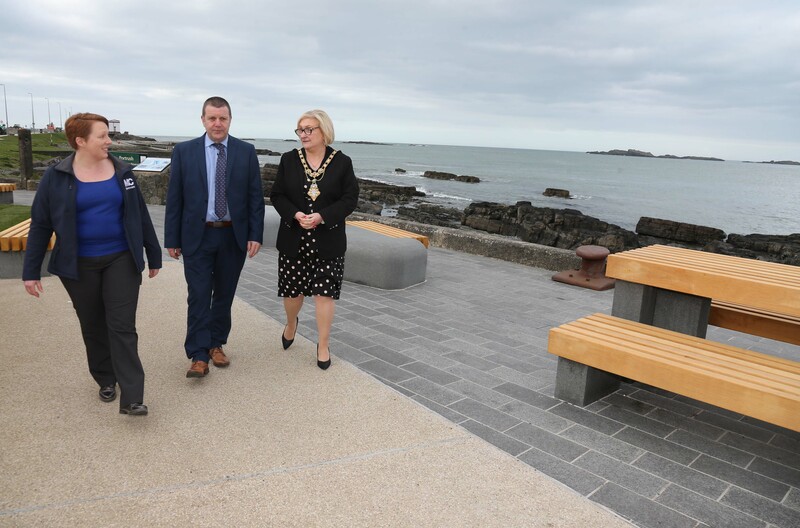 Portrush has attracted visitors for generations and this public realm transformation will help to secure the resort’s future appeal, setting it apart as a high-quality seaside destination. The investment has helped to create a streetscape which matches the beauty of the town’s distinct geography, befitting of its position as a major tourism hub. 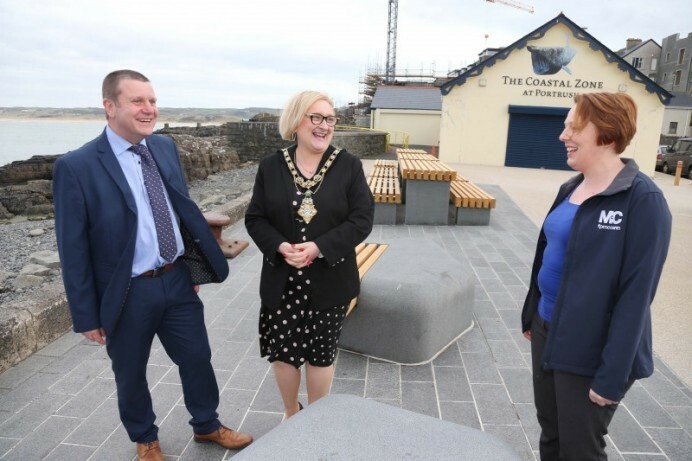 Alongside the public realm scheme, Portrush Regeneration programme also includes a new train station development, Urban Development Grants and a Revitalise scheme. Keep up to date with the latest news by going to www.causewaycoastandglens.gov.uk/work/regeneration or follow us on Facebook and Twitter.